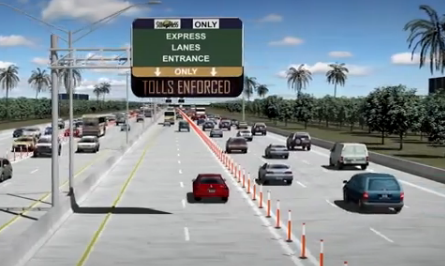 The Florida Department of Transportation is hitting the reset button on the controversial plan known as TBX. It would add express toll lanes to nearly 100 miles of interstates in the Bay Area. But critics say it would bulldoze historic neighborhoods in the process. FDOT is taking two years to research and respond to community feedback, and expects to have a revised plan by the end of 2019. One of the department’s most recent efforts to re-evaluate TBX involved a trip to St. Louis to learn how Missouri transportation officials worked with the community on a contentious highway project there. FDOT invited some politicians, residents and members of the business community along for the trip, which was paid for by the Federal Highway Administration. Some people in the group are vocal opponents of TBX, including Chris Vela, President of the Historic Ybor Neighborhood Civic Association and leader of the Stop TBX Coalition. Some Tampa City Council members questioned whether the paid trip to Missouri was a way to persuade opponents to get onboard with FDOT’s plans. Vela says that’s not the case. Vela says increased citizen engagement in the planning of TBX is exactly what opponents want. But he says he’s still not confident this “reset period” will truly address their concerns. 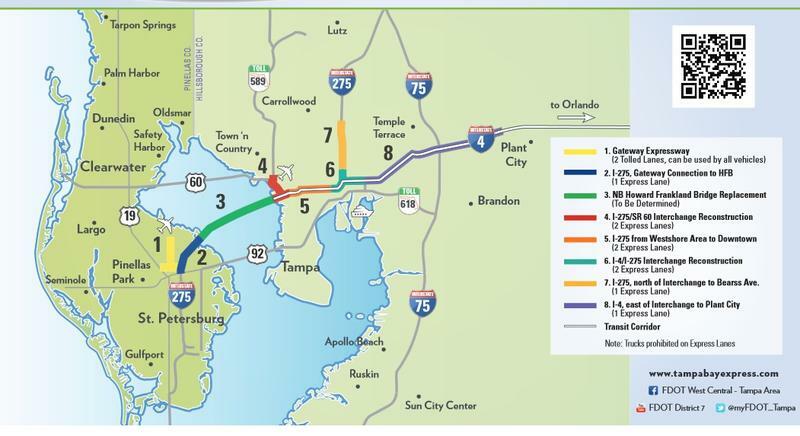 Despite putting TBX on hold, FDOT says it will continue to buy land from willing sellers in the Westshore and Downtown interchange areas to reduce right of way costs down the line. Vela says once those purchases are made, even if projects like TBX don’t end up coming together, the state will still own that land. FDOT says it’s working with the Federal Highway Administration to prepare a “Supplemental Environmental Impact Statement” to reevaluate the social and environmental impacts of the proposed improvements in the Downtown Interchange and the Westshore areas. The department says it will evaluate alternatives in response to community input. Vela says many critics of TBX feel like up until now, officials have been taking a top-down approach to planning. He hopes that during this reset period the focus will shift toward a citizen-led plan. FDOT will fund, lead and manage a series of independently facilitated “Community Working Groups” that consist of residents, business organizations and local agencies throughout the region. The idea is to start a broader conversation about regional transportation and open a two-way dialogue with the community. Meetings will begin next month. A bill that would eliminate building toll lanes on existing free interstate highways has moved through the transportation committee of the Florida Senate. Is it time for the Tampa Bay area to create express toll lanes to speed up urban traffic? Or is it a waste of taxpayer money and an affront to historic neighborhoods? This week on Florida Matters we're talking about the transportation plan known as Tampa Bay Express, or TBX. 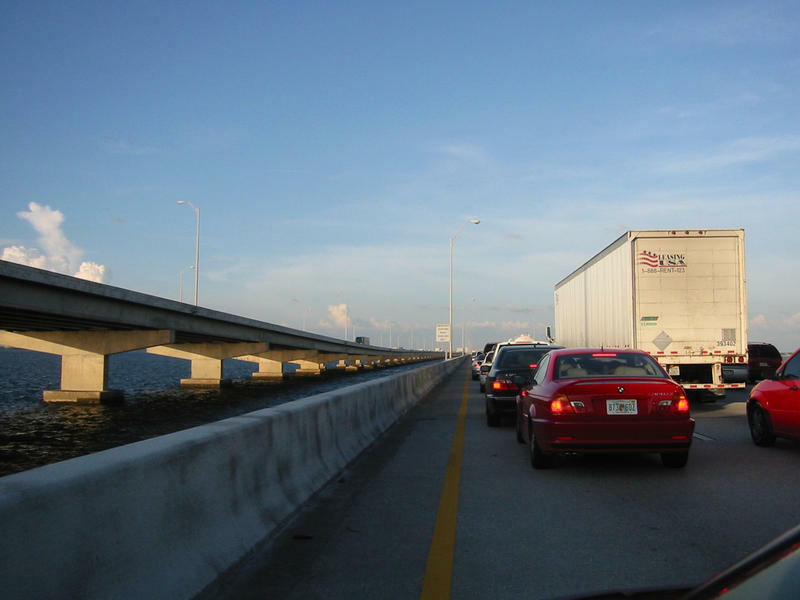 The state is tweaking its plan to replace the Howard Frankland Bridge.